Here we go with the same old story that I’ve pursued for years – the one about University of British Columbia researchers, Christopher Shaw and Lucija Tomljenovic, who are amongst the most laughable anti-vaccine scientists (and I use the word “scientist” very loosely) to ply their pseudoscientific nonsense onto the world. Their articles are regularly retracted by even minor journals, but like zombies, those articles return to life in even more obscure, minor journals. Despite the utter junk that Shaw and Tomljenovic publish, the anti-vaccine religion embraces them like they are prophets of the impending apocalypse of vaccines. Every time one of their pseudoscientific papers gets published, even after devastating critiques, the anti-vaccine zealots embrace it without reservation. So one more paper by the University of British Columbia team gets retracted, and then comes back to life in some other obscure journal. Do you really think I’m going to ignore piling on to Shaw and Tomljenovic? Oh hardly. This is why I have this website. Who are these anti-vaccine scientists? I’ve talked about them many times, but it never hurts to remind the readers all about these two anti-vaccine scientists. Shaw holds an academic appointment as a professor in the Department of Ophthalmology at the University of British Columbia (UBC). Shaw does claim he’s a neuroscientist, but his research focus is on amyotrophic lateral sclerosis (ALS) and the ALS-parkinsonism dementia complex, not autism, which, of course, is the shibboleth for the anti-vaccine world. Tomljenovic is a postdoctoral research fellow in the same department. Again, I cannot stress this enough, this gives them zero credibility in vaccine research. They have absolutely no background or training in any area of vaccine research, including immunology, epidemiology, microbiology, virology or anything else remotely related. Despite this complete lack of qualifications, they continue to publish badly done research in low-quality journals over and over. At least they’re consistent. Shaw and Tomljenovic’s research has been paid by the Dwoskin Family Foundation, one of the most profoundly anti-vaccine sponsors of research in the world. Claire Dwoskin is a board member of the anti-vaccine group, the National Vaccination Information Center, a vile anti-vaccine group that passes on misinformation as if they are facts about vaccines. They actually have quite a history in retracted anti-vaccine articles. Last year, they wrote an article about aluminum adjuvants in the HPV vaccine – it was retracted, and eventually republished almost word-for-word in an inferior journal. And of course, there’s the September 2017 article which was quickly retracted. Finally, they have been hammered by respected scientific organizations like the World Health Organization (WHO), as a result of some of their weak claims. UBC stated that this was a matter of academic freedom, and the two researchers could basically write pseudoscience if they so wished. Gail Murphy, UBC’s vice-president of research and innovation, stated that the university “holds dear the value of academic freedom,” that is, the researchers have the “freedom” to explore research that may go against the established scientific consensus. But no one is criticizing Shaw and Tomljenovic on academic freedom grounds – they are being essentially accused of malfeasance by many people, as a result of observations that some (if not all) of the data appears to be altered. Like the discredited fraud Andrew Wakefield, whose paper claiming a link between vaccines and autism (there is no link) was ultimately retracted, Shaw and Tomljenovic are pseudoscientists hoisting a fake narrative about vaccines onto the public. Most of us aren’t buying it, but the anti-vaccine religion, desperate for any evidence that supports their foolishness, grab onto Shaw and Tomljenovic. Like they do to Wakefield. So what happened now? Shaw and Tomljenovic (see Note 1) withdrew a paper entitled“HCG Found in WHO Tetanus Vaccine in Kenya Raises Concern in the Developing World,” published 27 October 2017 in Open Access Library Journal, a low impact factor (0.20, one of the lowest I’ve ever seen) journal. It is also a predatory journal – an exploitative open-access publishing business model that involves charging publication fees to authors without providing the editorial and publishing services associated with legitimate journals. Real peer-reviewed journals, usually those with reasonably high impact factors, never charge the author – of course, they often charge the reader, which is a whole other issue that annoys yours truly. Finally, Open Access Library Journal is not indexed in PubMed, a serious issue for any journal. 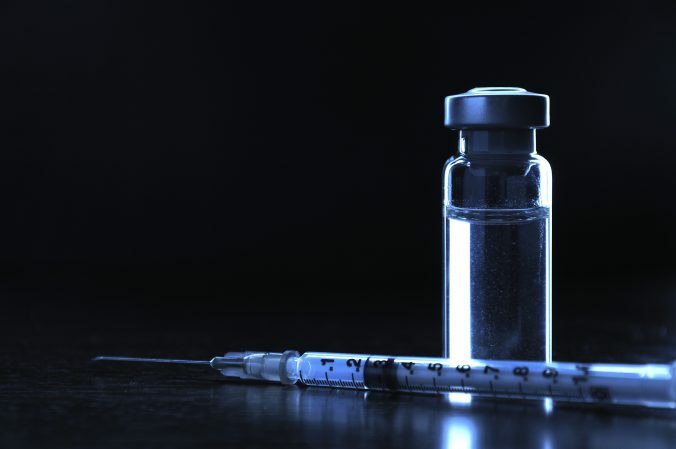 This paper discusses reports of the human hormone, human chorionic gonadotropin (hCG), being found in the tetanus vaccines which were part of a vaccination campaign run by the World Health Organization (WHO). Of course, if there’s an issue that could impugn any vaccine, Shaw and Tomljenovic will jump into the fray. We need to start with human chorionic gonadotropin (hCG), a hormone produced by the placenta after the embryo has implanted in the uterus. The hormone has an important role in fertility by inducing ovulation (in the complex endocrinology of pregnancy). Basically, some anti-fertility vaccines (which destroy hCG) were designed to produce a stronger immune response by attaching the a subunit of the hCG protein to the tetanus toxoid. The issue is that this anti-fertility vaccine has been conflated with the tetanus vaccine, which is used to boost the immune system to attack the tetanus toxoid produced by Clostridium tetani bacteria which can infect people worldwide by entering through open wounds. The anti-vaccine radicals are claiming that the tetanus vaccine is really a method for mass sterilization in Africa as result of hCG laced vaccine. Let me make this clear. There is no reason why hCG would be used in the production of a real tetanus vaccine. There is no evidence that Big Pharma produces Africa-specific vaccines that include hCG. Even though there is no evidence for this conspiracy theory, we still need to debunk it. There are many reasons why this is utter nonsense starting with the fact that independent testing of the tetanus vaccine by Kenya Ministry of Health authorities has found no traces of hCG. None. So, Shaw and Tomljenovic (plus Oller) are starting their pseudoscientific article with an outright lie. And the World Health Organization and UNICEF, who are sponsoring the tetanus vaccine push, have stated, vigorously without qualification, that vaccines are not laced with anything. Except for tetanus toxoid. A catholic bishop in charge of the Kenya Catholic Doctors Association (KCDA), Stephen Karanja, has been blamed for raising this false alarm. Nicholas Muraguri, the Director of Medical Services in the Ministry of Health has firmly stated that, “we ordered two lab tests and the results came in yesterday showing no traces of hCG in the tetanus vaccines.” Muraguri also recommended that disciplinary action be taken against Bishop Karanja for these false statements. In other words, there is no evidence that the tetanus vaccines has hCG in any way that would make it into an anti-fertility vaccine. David Gorski, MD, debunked this whole story way back in 2014. He points out, scientifically, that real anti-fertility vaccines require booster doses to maintain immunity against hCG. Moreover, free hCG in the tetanus vaccine would probably not induce an immune response against hCG. Finally, Dr. Gorski responds to Shaw and Tomljenovic’s claims that a laboratory in Kenya discovered hCG in the vaccines by stating that, “as UNICEF also points out, there is no laboratory in Kenya capable of accurately making these sorts of measurements on non-human samples.” Ooh, the University of Michigan doctor slam dunks over the outstretched arms of the two University of British Columbia defenders. Retraction Watch reported that Shaw and Tomljenovic “withdrew” the paper above. In publication terms, a withdrawal is kind of a self-retraction, usually in light of errors or other issues that have appeared. This paper is withdrawn from Open Access Library Journal (OALibJ) according to authors’ withdrawal request. The Editorial Board would like to extend its sincere apology for any inconvenience this withdrawal may have caused. There apparently was a longer statement about the retraction, but that’s disappeared from the website. That’s sad because I’d love to see what excuses Shaw and Tomljenovic made about their article. We did withdraw it due to some editorial issues with the journal, but these now seem to be resolved and the article is back. The same journal then republished the article (without changing the doi or date of publication) with an addendum that explained why they withdrew it initially. Of course, that addendum was deleted and disappeared from the web. Except nothing disappears from the web, and the addendum is fully visible for all who want to read it. It is actually a fascinating read with a whole section devoted to Shaw and Tomljenovic’s conflict of interest issues – being paid heavily by anti-vaccine zealots to publish anti-vaccine articles anywhere. This is amateur hour for the journal and the two authors. Shaw and Tomljenovic publish a terrible article that was roundly criticized for its implausible claims and outright misinformation. After a few weeks, the journal decided to reopen the peer-review (a predatory journal has a peer review?). The authors whine about the editors’ decisions and publish an addendum where they outline their complaints. The journal then republishes the article with no changes. And then the addendum disappears. In the end, all of this intrigue matters very little. The article was junk and is still junk. At best, Shaw and Tomljenovic misinterpreted the results from the Kenyan lab. At worse, the Kenyan lab produced faked results – if the two UBC researchers knew they were faked, that has got to be grounds for dismissing them from the faculty. Stay tuned, this could be fun. Typical anti-vaccine scientists. Definitely anti-vaccine. Definitely not scientists. The paper’s first author was actually John W Oller, who believes in the anti-vaccine pseudoscience that vaccines cause autism. Real science has overwhelmingly debunked that nonsense about links between vaccines and autism. Oller’s credentials fall far below Shaw and Tomljenovic, which is an impressive feat in itself – Oller is not an immunologist, epidemiologist, virologist, microbiologist, or anything else that has to do with real vaccine science. In fact, Oiler’s background is in linguistics, which has almost nothing to do with vaccines. Unless we look at the etymology of the word vaccine, which is from the Latin word for cow, vacca (because the very first vaccine created by Edward Jenner was for smallpox using cowpox from cows). There you go, that’s how linguistics matter to vaccines.